Toronto Taxi wars are continuing to heat up. The past year has seen a number of new companies surface, namely Uber and Hailo, that offer quick access to call a cab, plus easily pay via your smartphone. 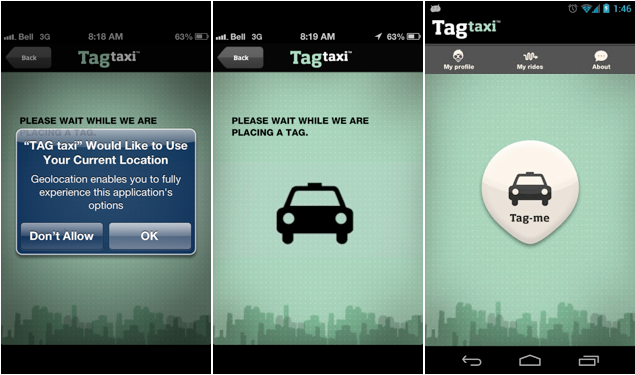 Some of the original cab companies like Beck Taxi have released apps, but only give the ability to place a call. TAG is available in Toronto Mississauga, Vaughan, Pickering, Ajax and will be coming soon to Richmond Hill and Markham. Download the iPhone app here, Android app here.